Hey guys, this is Numbers, back with more for the legion! 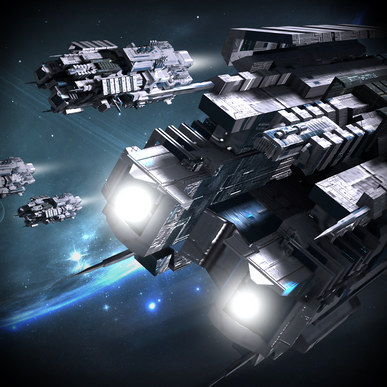 Deep Space Fleet is a progressive game, but quite unlike many different games. Mostly, you are limited by the amount of time to upgrade a module, complete research etc. and you are also limited by the amount of resources you have. (Crystal, Metal, Fuel, Gold). You make ships, hire commanders, attack enemies emerging from wormholes, complete a storyline, trade resources with your alliance members, etc. I have started an alliance (SithEmpire) without the standard across-the-board legion name of Krykon. Unfortunately for us, Krykon doesn't give the proper impression of our group to potential new members unless we have some display of power. So! we are SithEmpire in this world. I exist on the server Delphinus (S3) but more on that in my update panel! I'll keep ya updated if you choose to come by this website, I'll post another link up on the Facebook page. If you have any suggestions that would bring you back to this website for more, PLEASE don't hesitate to post it up on Facebook. I'm open to criticism, new ideas, old ideas that I may have forgotten, and pretty much anything on your mind. Cya next time!